A new Doctor Who audiobook and download featuring David Tennant's Doctor is released in the UK today. A download is also released in the USA. 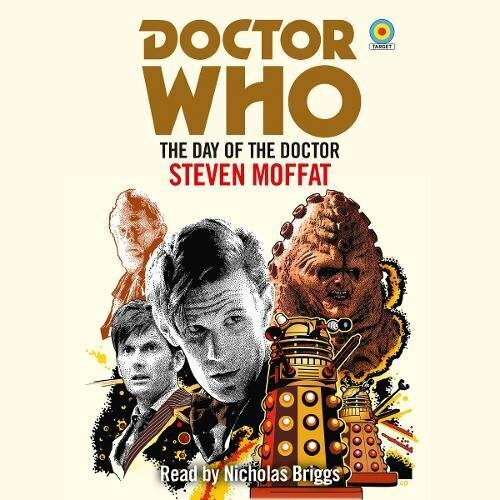 Nicholas Briggs reads this brand new novelisation, by Steven Moffat, of the 50th Anniversary episode, The Day Of The Doctor. Running time: 7 hours 25 mins. The Target Novel is already out in paperback and Kindle - get full details on that release here.